Our cell culture and stimulation portfolio offers you a specialized and versatile range of cell culture media and reagents for the stimulation, expansion, and differentiation of human and mouse primary cells, including immune cells, stem cells, and neural cells. Small molecules and reprogramming reagents are available for stem cell research, and we offer chemically defined specialty media for the production of recombinant proteins in eukaryotic cell lines. Selected antigens, recombinant cytokines, and cell culture media are produced according to relevant GMP guidelines, enabling a more seamless transition into clinical research. Optimized formulations from standard culture to bioprocessing and cell type–specific media. Reliable tools for manipulating stem cells, especially ES and iPS cells, by improving cell reprogramming or modifying self-renewal and differentiation. Standardized cell culture with recombinant fibronectin and streamlined transduction of suspension cells with Vectofusin-1® in stem cell research, cardiovascular research, and immunology. 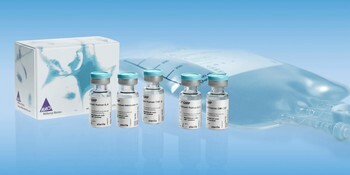 Sterilized, gas-permeable bags offered in different sizes for cell differentiation or compartmentalized to allow an increasing volume for cell expansion. Non-integrative mRNA technology for the modulation of cell fate by transient expression of key regulators, recombinases or markers. Comprehensive portfolio of products for cell-based assays, fluorescence microscopy, and high content screening.